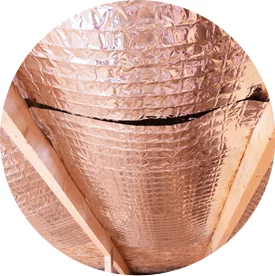 When it comes to improving the comfort and energy efficiency of your home, few techniques are more effective than adding insulation to the attic, crawl space, basement and walls. You have many insulation materials and types to choose from, but fiberglass blankets could be the best option for you. Wondering if fiberglass blanket insulation could boost your home’s comfort and efficiency? Call Accurate Insulation at (301) 358-6411 today to learn more! Fiberglass has been the number one material for insulating homes and commercial buildings for decades. The insulation is manufactured by spinning molten glass into extremely fine and flexible glass fibers. Most manufacturers include 20 to 30 percent recycled glass content in the fiberglass production process, making it an environmentally responsible choice. 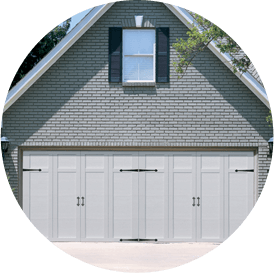 Fiberglass is available in multiple forms, including blanket insulation. This is the most common and widely available type of insulation on the market today. Blankets are available in standard widths designed to fit snugly between wall studs, floor joists and ceiling rafters that are built to code. Long blankets can be trimmed by hand to fit any required length. Blankets often feature facings, such as foil, kraft paper or vinyl to serve as a vapor or air barrier. However, it’s best to stick with unfaced blankets if you’re installing them over existing insulation. Increase home comfort: Every floor of your home feels more comfortable when fiberglass blankets slow heat transfer through the walls, floor and ceiling. Save energy: With the ability to keep your home cooler in the summer and warmer in the winter, your furnace and air conditioner don’t run as much, reducing your energy consumption and saving you money all year round. Prolong HVAC equipment lifespan: Your heating and cooling system breaks down less frequently and lasts years longer when insulation helps your HVAC equipment run less often. Help the environment: Reducing your energy consumption and choosing fiberglass blankets made from recycled content are beneficial for the environment. Reduce noise infiltration: If you’re tired of traffic and construction noises transmitting through the walls, bolstering the insulation with fiberglass blankets may help make your home more peaceful. Accurate Insulation installs high-quality fiberglass blankets from Guardian Building Products called AsureR Plus®. This is a specially designed blanket that provides seamless insulation for sidewalls. It conforms to all shapes and sizes of wall cavities and fills in obstructions to create a monolithic seal that significantly reduces caps and voids. We want you to feel confident when you install an insulation product! That’s why AsureR Plus®, as with all Guardian products available from Accurate Insulation, is backed by our unconditional customer satisfaction guarantee. Bags per 1000 sq. ft. Minimum weight per sq. ft. If your home or commercial building is in need of increased insulation, let Accurate Insulation handle your retrofit project. We also install fiberglass blankets in new construction projects in Maryland and the DC metro area. We have the experience, products and know-how to maximize the results from your investment. To schedule fiberglass blanket installation, please contact Accurate Insulation today. We’ll help you start your project with personalized advice regarding which insulation type and material is best for you.